Let’s talk about vanilla ice cream. If you’re like most people, you find vanilla ice cream quite inoffensive. You neither love nor hate it — i.e., it doesn’t inspire strong feelings in you. And if you’re eating vanilla ice cream, it’s unlikely you’re raving about it to anyone. Now I want you to think about Ben and Jerry’s Chocolate Chip Cookie Dough ice cream. I bet that ice cream inspires strong feelings in you! I bet if you had a big bowl of that in front of you, there’d be a huge smile on your face and you’d want to tell anyone who’d listen how good it is. What’s this got to do with writing? Vanilla writing is both technically sound and inoffensive. Vanilla writing “does the job” in the absence of anything better. And the truth is, perfecting the art of writing “vanilla” is necessary if you want to earn a living as a writer. Vanilla writing pays the bills. But sometimes, we want to produce writing that really moves people and inspires them to take action. Sometimes, we want to produce the writing equivalent of chocolate chip cookie dough ice cream. The good news is, there’s a way to turn vanilla into chocolate chip cookie dough. You just need time, and a few extra ingredients. 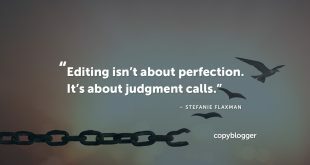 Most people see editing as the process of turning a messy first draft into something that’s publishable. And yes, editing does do that. To me, the real power of editing activates when we take writing that is vanilla (does the job) and turn it into chocolate chip cookie dough (something people rave about and want to share with their friends). Yes, the editing process for the latter involves a few more steps than you’re used to, but I promise, it’ll be worth it. Before you can turn a piece of vanilla writing into chocolate chip cookie dough, however, you need to be sure it really is at the vanilla (i.e., technically sound) stage. If you have all of this in hand, it’s time to edit! This is the stage where knowing exactly who you’re writing for, and what you’re trying to say is crucial. Because the first thing you need to do is go through your draft and delete anything that is not relevant to the promise you’re making. When I first started putting this post together, many of the things I talked about were general writing tips. They were great tips, but completely irrelevant to the promise I was making — which was how to edit, not how to write. The second thing you need to do is check your examples. Finally, you need to check your sub-headings. 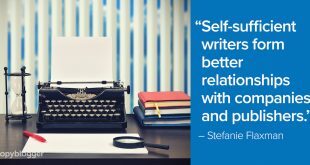 If you promise “5 secrets to great writing” in your title and all your sub-headings are actually “5 mistakes people make when they’re writing,” then you need to either change your title or your sub-headings. A neat and tidy structure for any piece of writing is a three-part structure: beginning, middle, end. Or, my personal favorite: hook, build, payoff. First, check you have one. The hook appears very early in a piece, and must capture your reader’s attention. For example, I hooked you at the start of this article by connecting editing — something many writers don’t like doing — with ice cream, which pretty much everyone likes eating. If your piece is missing a hook, and you’re not sure how to give it one, I break down five common hooks here. It’s also worth noting that writers often bury their hooks two paragraphs into their content. I can’t tell you how many “first two paragraphs” I’ve deleted in my time. All that backstory you’re giving, the reader doesn’t care. In the introduction of this post, I showed you “what is” — vanilla ice cream. It’s “does the job” writing. The problem is, no one’s Instagramming vanilla ice cream or telling their friends about it. Then I showed you “what could be” — chocolate chip cookie dough ice cream. Basically, I sold you the dream! Now I need to deliver on that dream. 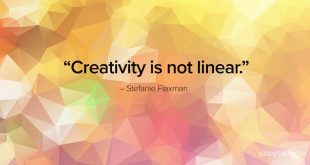 Many writers think their final line is the payoff, but that’s rarely the case. More commonly, it’s the six points, or the 10 tips, or the 15 secrets. Essentially, it’s where you deliver on the promise you’ve made in your title. Everything I’m walking you through right now, this is all payoff. I’m giving you practical actions that turn your vanilla draft into chocolate chip cookie dough ice cream. What do you do if your structure isn’t quite right? If the proper information is all there, it might simply need re-ordering. It’s important to remove these because there are so many things our readers can be doing today. Any roadblock we throw up might make them decide it’s easier to go check out stupid memes on Facebook. What are some common roadblocks? The first is unnecessary repetition. This is pretty common in books or articles where an author is battling to meet a word count. So they’ll say the same thing five different ways. It also happens when a writer isn’t 100 percent clear on what they’re trying to say. So they share a single thought in a few different ways, hoping one of those ways will resonate with the reader. Make your point once; make it well. Then move on to the next one. The second common roadblock is a big word that could be smaller. It doesn’t matter how smart your readers are; they will always prefer a small word to a big one. The third roadblock is jargon. We all know about jargon because we’ve all been frustrated by reading it. But often, when we’re doing corporate writing, it’s not possible to remove it. You need to use your judgement here. If jargon is putting unnecessary distance between you and the reader, then edit it out. If they’re clued up on the topic, a little bit of jargon is okay. In-jokes are another common roadblock. These are fun if everyone gets them — but they seldom do. Remember, the people who don’t get the in-joke will feel both stupid and distanced from you. So you’d use them if you’re deliberately trying to create a divide between people who get it and those who don’t. In all other situations, you’d consider their use carefully. Awkward syntax is when a sentence is grammatically correct but still sounds weird. In those situations, I always re-phrase the sentence because things that sound weird stop readers in their tracks. The final most common type of roadblocks are sentences or paragraphs you love because they’re awesome and make you sound super-smart. You know you could cut them out because they’re not actively contributing anything, but you leave them there anyway. These are called darlings. And we all know killing our darlings makes our writing better. This is a very hard one to give practical advice on, but I need to mention it anyway. If you read through your piece and it doesn’t feel like it flows very well, but your structure is sound, then you may need to use linking words like “but,” “and,” and “however” between your sentences. Smooth transitions between paragraphs and sections are also necessary to keep the reader moving along. Harsh transitions where there is no obvious link between adjacent paragraphs act as a roadblock. If you can’t smoothly link two paragraphs or section, consider splitting them via sub-headings. Or do what Malcolm Gladwell does and put three dashes between the end of a paragraph and the start of a new one. Now, this is what most of us think of when we think of editing. Whether the information is optimally structured to deliver the idea to the reader. The four editing steps that have preceded this one are the keys to taking your writing from vanilla to chocolate chip cookie dough. What we do from here on is the cherry on top. Given there are many great articles out there about line editing, I’m not going to go into too much detail here. I’m just going to hit the most powerful and easily implemented ones. Check your use of “that.” Ninety-five percent of the time, you can remove the word “that” from a sentence and the sentence’s meaning won’t change. Audit your adverbs – basically anything ending in “ly.” Now, I love adverbs. I’m quite addicted to them because I feel they add nuance to my writing. But really, what sounds better? “She ran quickly?” or “She sprinted?” You can almost always remove an adverb by using a stronger verb. Watch for clarifiers and caveats. This is when you say things like “maybe” and “might,” and “sometimes.” These words have their place, but they also weaken your writing. If you’re deliberately using clarifiers or caveats to soften the stance you’re taking on something contentious, go for it. If you’re using them because you don’t want to offend anyone? Well, that’s the very definition of vanilla ice cream. Remove redundancies. Is it 5:00 a.m. in the morning? No, it’s just 5:00 a.m. Is it absolutely essential? No, it’s just essential. Audit your bullet points. When bullet points are preceded by a sentence that ends with a colon, you need to read each bullet point as if it was the second half of that sentence. If your bullet point doesn’t make sense off the back of that preceding sentence, then you need to change it so it does. When you’re getting close to chocolate chip cookie dough ice cream, the most powerful editing tool available to you is this one. Why? It very quickly identifies awkward phrasing and harsh transitions. It’s also a very effective way of picking up errors your eyes have been skipping over because you’ve been through your piece so many times. A few times now I’ve been working with book clients whose manuscripts have been edited and proofread to within an inch of their life. Then they record the audiobook version … and suddenly there are more things to be fixed. Not huge glaring errors. Just small ones that, if you fix them, take your work to another level. If you’re working on a 1,500-word blog post as opposed to a book, there’s no excuse for not making time to read it out loud. In a perfect world, proofreading would be done by a professional, or at the very least, someone with fresh eyes who’s never read the content before. In the absence of those people, you should let your draft sit overnight at the very least. The goal is to come back to it with fresh eyes. Then, print it out in a different font to the one you’ve been using. Then read it backwards (mainly to pick up spelling errors). Then, go through line by line and make sure you read every word — especially those in headings, sub-headings, diagrams, and captions. Those are places where it’s very easy for errors to hide. That’s how we turn vanilla writing into chocolate chip cookie dough ice cream. It’s quite the process, isn’t it? But it will be totally worth it for those pieces of writing you want to resonate strongly, move people to action, and be shared far and wide.